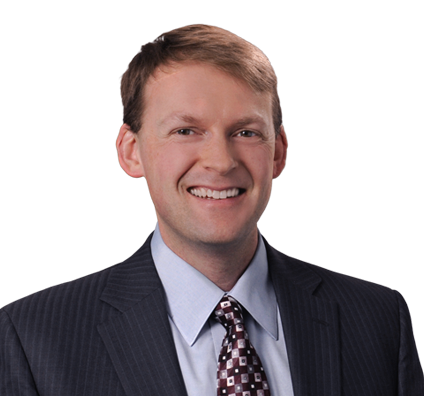 Chad focuses his practice on labor and employment matters, with an emphasis on handling all facets of employment-related litigation and providing advice and counsel to minimize litigation risks. He has a wide range of knowledge regarding statutory, regulatory and common law employment matters, and has ample experience investigating, understanding and resolving employment disputes. Chad represents employers before a variety of courts and administrative agencies in wage and hour disputes, discrimination and retaliation claims, Title VII claims and other employment-related conflicts. He assists clients in the drafting and enforcement of employment agreements and advises clients on workplace issues such as hiring, discipline and discharge, employee classification, privacy rights, arbitration policies and employee handbooks. Chad advises clients on employment best practices and guides employers through all stages of the litigation process. Represented numerous employers before the Colorado Civil Rights Division and the EEOC on charges of discrimination and retaliation filed by current or former employees, securing numerous findings of no probable cause. In a seven-day jury trial, obtained a complete defense verdict on claims of conspiracy, replevin, intentional interference with contract and civil theft. In a three-day jury trial, successfully defended client against a claim of malicious prosecution, and prevailed on counterclaims, securing punitive damages. Prevailed on a motion to dismiss and motion for summary judgment for an employer in a case involving an alleged breach of an employment agreement, and successfully defended that judgment on appeal. Second-chaired an arbitration successfully defending a client against sexual harassment and retaliation claims. Secured summary judgment on age discrimination and public policy wrongful discharge claims asserted by a former nurse. Defended employer in a multi-plaintiff, two-week arbitration against claims of retaliation and race, national origin and color discrimination. Secured dismissal and summary judgment of former executive's claims for breach of an employment agreement, and successfully upheld the trial court's ruling on appeal. Secured a temporary restraining order and temporary injunction against a former executive of a company who started a competing enterprise. Represented several hospitals in a class and collective-action lawsuit alleging violations of the Fair Labor Standards Act (FLSA) and Colorado law. Obtained a favorable settlement for a client in an EEOC mediation involving Title VII and Dodd-Frank whistleblower claims. Successfully defended employer against a Department of Labor investigation involving alleged violations of the Uniformed Services Employment and Reemployment Rights Act of 1994. Obtained summary judgment ruling declaring certain portions of Colorado’s Debt Management Services Act as unconstitutional. Provided advice and counsel with respect to Fair Debt Collection Practices Act (FDCPA), obtaining favorable settlement in connection with lawsuit alleging violations of the same. Conducted numerous internal investigations related to allegations of race, gender and disability discrimination, as well as allegations of retaliation. Coffee and Compliance: Sexual Harassment 2.0 – Are You Ready? Sexual Harassment 2.0 – Are You Ready?